The London 2012 Olympic medalist on his stunning comeback. 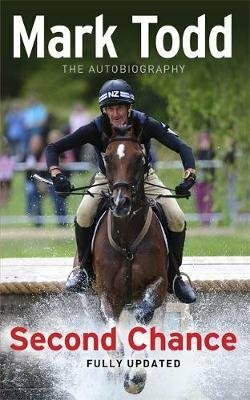 Mark Todd's eventing career is the stuff of legends and encompasses one of the greatest sporting comebacks of all time. When he 'retired' from competing in eventing in 2000, he had already been named 'Rider of the Century' for his natural empathy with a horse and his extraordinary success, which included back-to-back Olympic gold medals, five Burghley wins and three Badminton victories. He has also show jumped to Olympic level and trained winners on the racecourse. Considered a legendary horseman by his peers, he seemed to have done it all. He returned to train racehorses in his native New Zealand but, eight years later, the idea of a comeback took root, part dare, part personal challenge to see if he could still cut it in a changed sport. Within eight months, he was riding at the 2008 Beijing Olympics and in 2011 he hit the headlines by becoming the oldest rider to win Badminton. This was soon eclipsed by his stunning win at the London 2012 Olympics, however. The story of his progress from dairy farmer to world renown, is told with typically laid-back humour, but it reveals the fierce determination, discipline and personal sacrifice which lies behind the relaxed outlook.